Jay Kasperski -- Subdivision 7 (by acclamation). 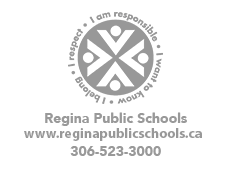 An Organizational Meeting of the Regina Board of Education was held November 6, 2018. Katherine Gagne was declared elected, by acclamation, to the office of Chairperson, effective immediately, and Adam Hicks was declared elected, by acclamation, to the position of Vice-Chairperson, effective immediately. commencing at 5:30 p.m., to be held at the Regina Public School Board Office, 1600 4th Avenue, Regina, unless otherwise scheduled by resolution. The Board also adopted to hold the 2019 Community Engagement Forum/Annual General Meeting on Tuesday, January 29, 2019, commencing at 7:00 p.m., at the Regina Public School Division Office, and the 2019 Organizational Meeting on Tuesday, November 5, 2019, commencing at 5:30 p.m., at the Regina Public School Division Office, 1600 4th Avenue, Regina.